Today Thornberry’s beacon of freedom, equality and democracy is having a General Election. But it’s not an election based on class politics, socialism v conservatism, Green v climate deniers, poor v rich as in most western societies. It is a competition between former Israeli Chief of Staff Benny Gantz, Netanyahu and the New Right of Ayelet Shaked and Naftali Bennett as to who has killed the most Palestinians. As readers of this blog will be aware, I decided this year to stand for the post of National Secretary of PSC. Apparently it was the first time in 15 years that an officer post was contested. I also produced a leaflet explaining why I was standing . What led me to stand was not some unfulfilled ambition but a sense of despair at the timidity, caution and passivity of PSC in the face of the ongoing Zionist anti-Semitism campaign. Whilst I don’t think we should respond to every Zionist provocation to simply ignore our enemies attacks is and was foolish. The failure to mount a serious campaign publicly against the IHRA definition of ‘anti-Semitism’ is unforgivable. What is unforgiveable it to put onto our platforms people who are our enemies. 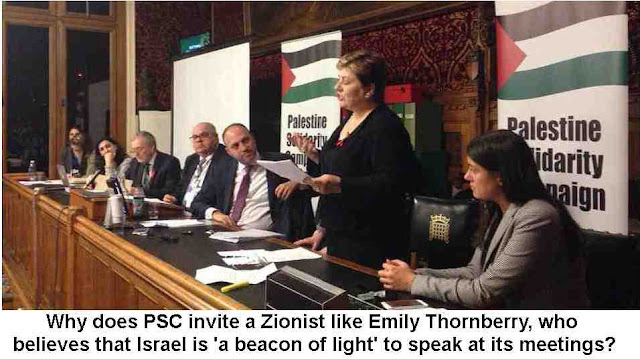 Emily Thornberry is not a friend. She has made it clear that anti-Zionists should be expelled from the Labour Party. What kind of serf mentality operates to think that giving her a platform will be of benefit to the Palestinians? Of course she will make all the right noises about Israeli human rights abuses but at the end of the day she is a signed up supporter of the Israeli State which carries out those abuses. Jonathan Rosenhead and Glynn Secker of Jewish Voice for Labour defended PSC Executive at the AGM for having helped pay for the legal opinion of Hugh Tomlinson QC and having mailed it out to local authorities. Fine. But did they hold any public meetings? Were there any lobbies of MPs over the IHRA? Did they support JVL’s own counter-demonstration outside the House of Commons on March 26th at the height of the ‘mural’ affair? Did they support the lobby of Labour’s National Executive Committee on September 4th? Are they going to follow up Liberty’s decision to oppose the IHRA? Or is everything going to be tokenistic? The adoption of the IHRA is a dagger aimed at the heart of Palestine solidarity. What it means is that you can oppose Israeli human rights atrocities but you cannot oppose the state that perpetrates those atrocities. Imagine that the Anti-Apartheid Movement had opposed the actions of the South Africa state in Soweto but had refused to criticise the State itself? That is what the IHRA does and for PSC not to take it seriously and for leading JVL members to give them their support is unconscionable. It is also stupid politics. My advice to JVL is some comradely advice to look to America and follow the example of Jewish Voice for Peace which has now openly declared that it is an anti-Zionist organisation. I had considerable doubts about standing. Firstly because becoming a national officer of PSC is not one of my ambitions! Secondly because I was unsure about how my message would go down to a conference that is not normally known for its willingness to challenge the Executive. In the end I did far better than I had expected with about 40% of the vote 67-101 (at least I think so as someone rang me as the results were being announced!). At least 50 people simply abstained. If I was Ben Soffa I would be worried having been elected with a minority of delegates, many of whom were wielding a union block vote! My motion on Jenny Tonge received 89-129 votes and it is clear that many people were extremely unhappy at the dumping of someone who has been of the fiercest advocates of the Palestinians in Parliament and who has suffered an extraordinary amount of vilification from McCarthite smear groups like the Campaign Against Anti-Semitism. Her treatment was at the hands of the new Chair of PSC, Kamel Hawash, which suggests that Hawash is going to continue where the retiring Chair Hugh Lanning left off. PSC needs to learn to stand up to its enemies not retreat at the first sound of gunfire. 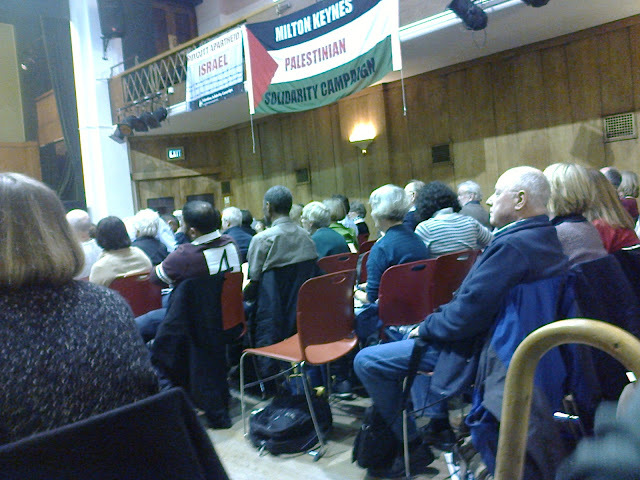 There was also a soft motion from Liverpool Friends of Palestine raising the question of a single democratic state. It was soft enough for the Executive to support it. It stated that 'decisions on the strategy for Palestinian liberation will be taken by Palestinians.' which begs the point that Palestinians are in no position to take any decisions on strategy. It is the Quisling Palestinian Authority which in practice makes such decisions. Even more amazingly a motion from Exeter PSC which described what Israel is doing as ‘slow motion genocide’ was passed by Conference against the opposition of the Executive. This is almost unheard of. Given that PSC Executive can count on a block vote by affiliated unions, who possess 3 card votes it suggests that the Executive is losing the support of activists. This is not helped by the turgid format of the Conferences themselves. Year after year an Executive Report is presented to the Conference. Year after year the Report says much the same thing. It is as if the Executive has a psychological need to have their lethargy and lack of imagination complimented. Conference needs to be restructured with breakout sessions and workshops and a genuine interaction between delegates. At the moment it serves no useful purpose. All affiliated bodies i.e. trade unions should have only one vote not three. People should be able to vote the moment they join. Unfortunately PSC Executive is not blessed with either imagination or daring! It fears innovation. I asked a question on the Finance Report which was how come with an increased membership the amount of income went down! The Treasurer was unable to give an answer at least not one that anyone could understand. The membership figures were given for the first time ever. Apparently they have jumped from 4,064 to 5,900 in the last year. I don’t believe it. I remember Betty Hunter announcing a decade ago that PSC membership was over 5,000. It is welcome that Jenny Lynn was reelected with the highest vote and a welcome to a Jersey PSC member, Natalie Strecker who spoke strongly in the ‘genocide’ debate of her experiences in the Zionist hell hole called Hebron. Unfortunately Monica Wusterman decided in the end not to stand. The primary problem is that the Executive is in the political grip of Socialist Action and the Communist League, the remnants from the old International Marxist Group. Their politics are effectively Stalinist and the capitalist Chinese regime is a model of socialism to them. More importantly they do not believe in rocking the boat and they believe in cuddling up to the Trade Union bureaucracy. So although most Unions are affiliated to PSC they have nonetheless support the Zionist IHRA definition of anti-Semitism without a word of protest by PSC Executive. At no time has there been an attempt to win the unions to opposing the IHRA in the Labour Party or outside it. I carry below a report from Gerry Downing of Socialist Voice on the conference. The Report is a fair one but I have to say that their continued characterisation of the Israel or Zionist lobby as a Jewish ethnic lobby is unhelpful. The fact that the Zionist lobby describes itself as Jewish is no reason for SV to adopt this anti-Semitic meme. It is also not true. People like Lord Pickles of CFI are not Jewish but are nonetheless ardent Zionists. The fact that many Jews are Zionists is irrelevant. That is not the reason why the British and US states supports Israel. There is nothing Jewish about the Israel lobby. 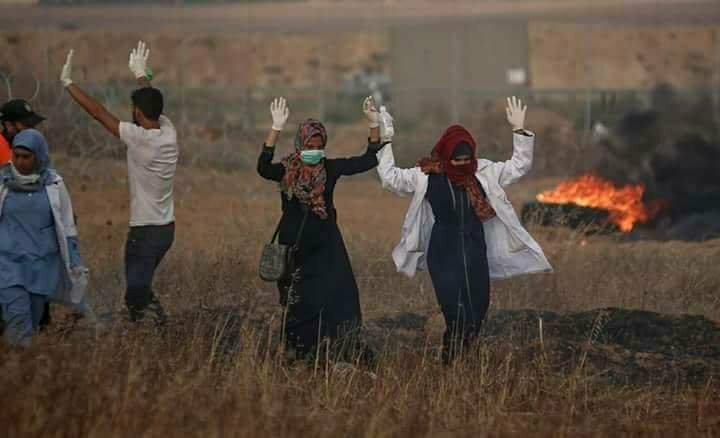 The woman on the right on the Gaza border is just about to be shot dead by an IDF sniper in what is clearly a war crime. Approximately 250 in attendance. 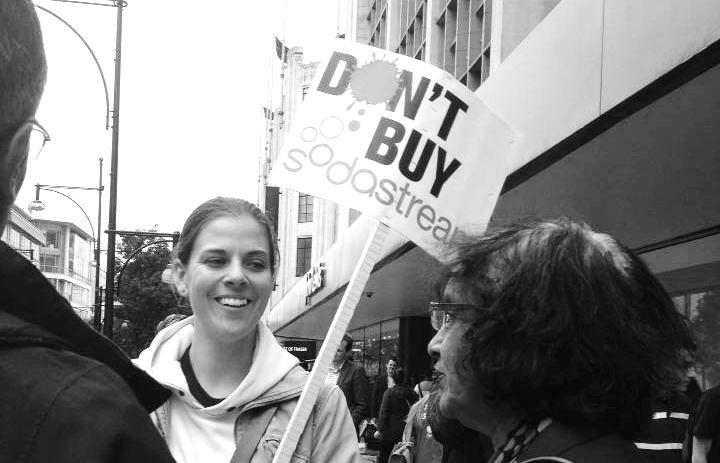 Most of the AGM was routine apart from some questioning of the finance report – how come with an increase of 31% in membership income receipts from members declined from £84,142 in 2017 to £80, 775 in 2018? Answer: If you joined in August only that portion of your membership from August to January would be counted. Satisfied? Four contested events: two motions and the elections for the Secretary and for the eight lay members of the Executive. So, the Zionist lobby attacked the PSC Executive viciously, expecting a robust response, but the Executive cleverly fooled them by running away. Exeter accepted the addendum of the Executive but not the deletion. A heated discussion took place, Socialist Fight’s two delegates strongly defending the Exeter designation of the actions of Israel as genocide. We pointed out that South African apartheid was different to the intent and actions of Israel. The South African racists wanted to exploit the labour of the oppressed black population, Israel wanted to get rid of the Palestinians. The Naqba had ethnically cleansed up to 800,000 Palestinians in 1948, the Nation State Law showed its intent to legally designate the remaining Palestinian who were citizens of Israel as second class and the constant bombing of Gaza was another strong indication of their intent. Supporters of Exeter’s motion defeated the Executive amendment with no count of the votes necessary and so their designation of Israel’s actions as ‘slow motion genocide’ stands. They did, beginning with the right wing Tory bigots, Conservative Friends of Israel Lords Pickles and Polak. The motion pointed out that “nothing that Jenny Tonge said was antisemitic” and that Israeli Minister Naftali stated that “the hand that fire missiles is the same hand that shoots worshippers”. The debate was heated, with all defenders of the Executive’s appalling treatment of Jenny essentially arguing that we had to bow to the Zionist onslaught, and she said the wrong thing at the wrong time. Basically, you could no longer speak the truth about Israel during a vicious Zionist campaign of lies and slanders against the left. So, the Zionist lobby attacked the PSC Executive viciously, expecting a robust response, but the Executive cleverly fooled them by running away. The motion was lost by 89 votes to 129 with 22 abstentions because it was basically a vote of no confidence in the Executive and they would have been forced into a humiliating climb down and the new Chair, Kamel Hawwash, who took the main responsibility for the conduct of the affair, would have to resign. But 89 thought he should and 22 were not sure about him at all. Mahmoud Abbas (Abu Mazen) is the President of the Palestine Authority recognised by the ‘International Community’ i.e. the USA and its global stooges, including in this instance, the EU, Russia and China. He abolished elections when his term of office expired 15 January 2009. He is a member of the Fatah party and was elected Chairman in 2009. On December 16, 2009 he was voted into office indefinitely by the PLO Central Council. Why hold elections you would certainly lose to Hamas when you have the backing of Israel and the USA and the acquiescence of the entire imperialist world? Lastly, we were entertained by a dance troupe trio from the Palestine Hawiya Dance Company just after the break, who put on a really excellent show for us all.